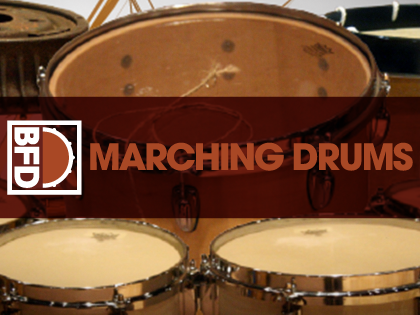 BFD Marching Drums is an expansion pack featuring marching band drums and percussion for your BFD3, BFD Eco or BFD2 installation. 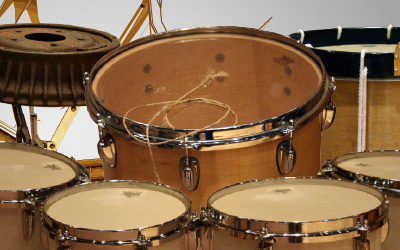 These fascinating instruments can be used for swapping into drumkits, creating street-style percussive grooves and much more. The BFD Marching Drums snares offer explosive crack and punch while the 4 sizes of tonal bass drums rival celebrated analog drum machines for sheer low-end power. Other highlights include hand cymbals, quad marching toms and bonus percussion sounds such as a brake drum repurposed from an old Cadillac. BFD Marching Drums is expertly recorded by John Emrich using a wealth of experience in studio engineering and as a former chief musician in the US Navy Band.